BAC test results associated with breathalyzers can be inaccurate for a number of different reasons, and pointing out these inaccuracies can be key to an effective DUI defense. Picking up from DUI Defense: When BAC Test Results May Be Inaccurate (Part 1), here is some additional information regarding when the results of blood alcohol concentration (BAC) testing may be inaccurate. While Part 1 of this blog was focused on discussing factors that can contribute to inaccurate BAC test results for blood tests, here in Part 2, we will explain some of the specific factors that can contribute to breath tests reporting inaccurate BACs. Knowing these indications of inaccurate BAC test results can be crucial to getting DUI charges filed against drivers reduced or possibly even dropped altogether. Breathalyzers are not properly calibrated prior to use – Before using a breathalyzer on a driver suspected of DUI, police are required to calibrate the machine. When cops fail to make this calibration before each use, the reported BACs from the breath tests cannot be trusted as accurately reflecting the driver’s blood alcohol content at the time of his arrest. Police did not properly administer breath tests – Police are required to use specific makes and models of breathalyzers, and using any device that is not among these approved devices can result in inaccurate blood alcohol results being reported. 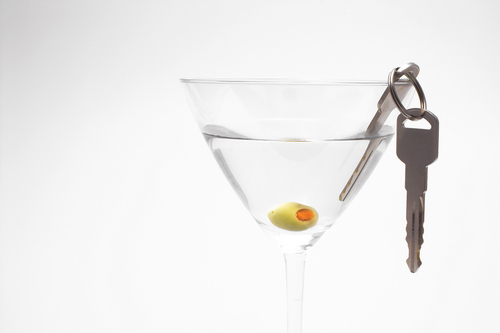 Drivers belched or regurgitated prior to the test – If drivers who are suspected of DUI happened to belch and/or regurgitate prior to submitting to breath tests, then their reported BACs may not accurately reflect the true levels of alcohol in their blood at the time of their arrest. In fact, officers are legally required to wait at least 20 minutes after a suspect has burped or thrown up before taking a breath test in order to get accurate BAC results. Facing any type of criminal charges can be both scary and stressful, as a conviction could cost you your reputation, your career, your family and even your freedom. If you or your loved one has been arrested for and/or formally charged with a DUI or wtih any crime, Christopher Griffin wants you to know that he is ready to immediately start providing you with the strongest possible defense against police and prosecutors – both outside and inside of the courtroom.